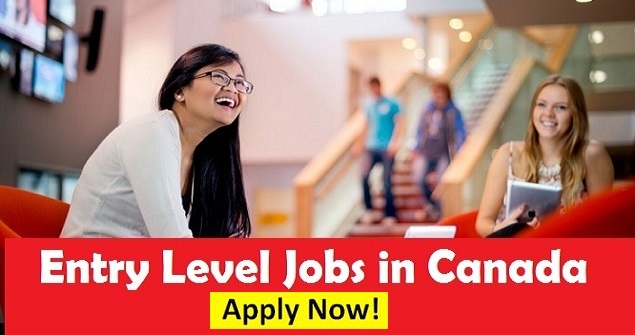 Entry Level Jobs in Canada. If you are looking to break into the Canadian job market, an entry level position is probably your best bet unless you have existing Canadian work experience or a specialist qualification. There are plenty of entry level jobs in Canada that are suited to people with a wide range of qualifications and skills, so whatever your areas of interest or expertise, you are sure to be able to find a position to suit your needs. What Is An Entry Level Job? An entry level job is a position that generally requires no existing skills or previous experience in the area to be eligible to apply. These jobs are usually suited to those who have just graduated high school, college or university, although those that are aimed at university or college graduates are generally more lucrative and have better opportunities for advancement. While some entry level jobs are quite low paid, they tend to offer excellent on the job training and sometimes opportunities to study for official qualifications that will stand you in good stead in the future when looking for a better paid job. The benefits of entry level jobs include the chance to gain valuable work experience while generating an income and the opportunity of making contacts in a business environment. These roles are usually an excellent stepping stone to other, more senior positions. Food preparation is one area in which there are always plenty of entry level positions. By its nature, this type of job has a very high turnover of staff, with primarily younger people seeking work of this kind. The entry level positions within this sector may be found in either nationwide or even global chains like McDonald's or within small scale local businesses. Although no specific qualifications may be required, good language and communication skills, an interest in providing a high level of customer service and a friendly and approachable personality are vital. Many of these positions offer plenty of opportunity for further advancement or training and can lead to promotions. They also frequently offer flexibility in working hours that are ideal for those who are seeking entry level jobs in Canada that will fit in around study or childcare responsibilities. Sales Jobs. Sales is one area in which it is possible to make rapid progress up the career ladder, however everyone has to start somewhere and an entry level position in this sector is a good choice for anyone who is sociable, outgoing and keen to work independently. Sales roles can vary widely in the level of experience or qualifications necessary, and it very much depends upon the organization or company's own requirements. While some businesses will expect those applying for entry level roles within their firm to have a degree, others will simply be looking for some experience within the field. Usually, pay is commensurate with experience, and those who have higher level qualifications may find that they can find employment with a more prestigious firm. Customer Service Jobs. Customer service is an ever expanding sector in Canada, as companies realize the importance of catering effectively to the needs of clients and customers. Almost every business will have a telephone helpline, with major corporations running large scale call centers that have a high staff turnover. This is a field with plenty of opportunities for people with all kinds of skills as industries as diverse as banking, technology and retail require employees with knowledge of their product. Customer service roles may involve face to face contact with customers or contact via a telephone helpline, live chat or even email. Therefore excellent language and communication skills are a must, together with a friendly and approachable personality and good problem solving skills. Computer literacy is also key as most customer service interactions must be logged on a PC. Good people handling skills and the ability to keep your head in a crisis are essential skills for these types of post, however talented individuals can enjoy rapid promotion to supervisor and eventually into management by starting in an entry level position. Administration Jobs. Administrative employees are always in demand, as every business will require someone to handle office tasks such as photocopying, filing, faxing, fielding phone calls and typing documents. This means that there is are plenty of vacancies for receptionists, secretaries, office juniors and administrators at an entry level. For some junior positions, there is no need to have any specific qualifications, although good communication skills and a good high school education is essential, however for more specific roles such as secretarial positions, a typing qualification as well as some computer literacy qualifications or experience may be a requirement. Driving is one of the most popular entry level positions available to a wide range of job-seekers. Of course the essential requirement is the possession of a valid and clean driving license, however depending on the company; there may be no need for any other essential academic qualifications apart from good basic language skills. There is a wide range of driving jobs to choose from, including delivery drivers, taxi driving and courier services. Retail is a popular industry for those looking for entry level roles, especially with those who are looking for flexibility in their working hours. There are several entry level positions within this sector to choose from including cashiers and store replenishment roles and many of these require very little in the way of academic qualifications apart from basic mathematics skills. A pleasant personality and a can-do attitude are much more important within this field as well as an interest in providing a positive customer experience.